No drill requires, using four allen screw to secure the holder. 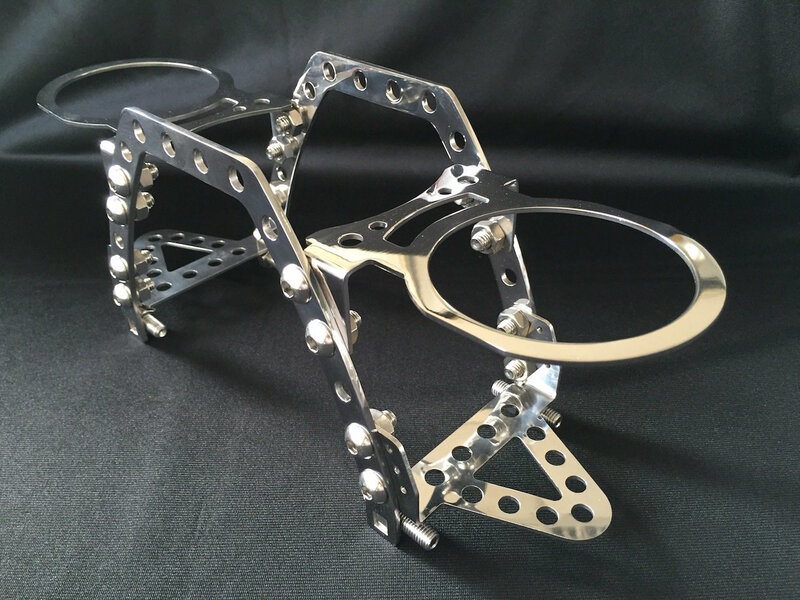 The Holder can be mounted at front or at back, and can be transformed for one side holding or two side holding. holding for 3 1/8 inch (8cm) drinking cup size. Mounting front total size: depth 5 1/8 x width 7 1/2 inch (13cm x 19cm).